A robust, meaty lamb ragu is an excellent dish for the middle of winter. It has all of the flavor and heartiness of great comfort food. Cooked slowly in red wine and tomato sauce, the ragu will gradually fill your kitchen with its enticing fragrance. 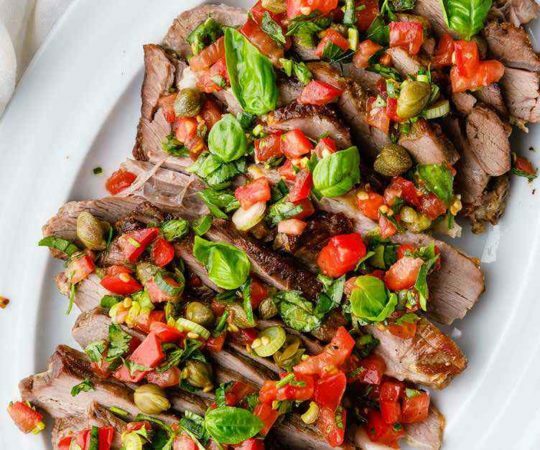 Serve it over Paleo pasta or cauliflower rice to make a complete, nourishing meal. This version of lamb ragu is not difficult to cook. There is only a little necessary hands-on time before you can transfer everything to the oven to braise slowly all afternoon. 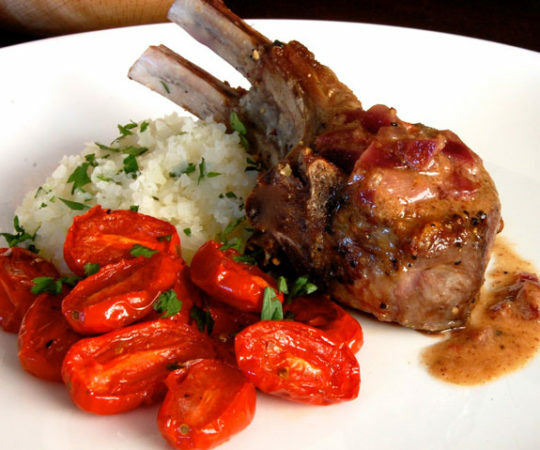 The cooking process creates tender, flavorful meat with a rich sauce. 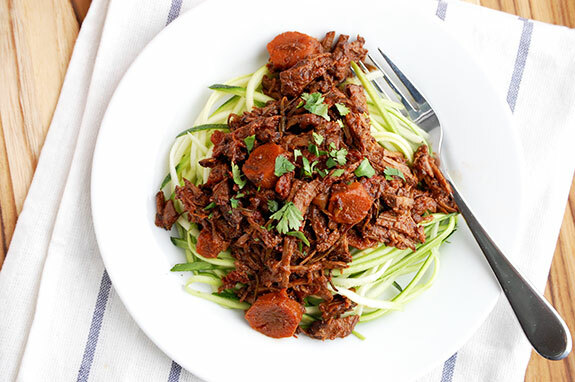 Although the recipe uses lamb, you could also make it into beef ragu with the same steps. I use a basic cut of stew meat since it cooks for hours. When the meat is seared in the pan, the objective is to get it a deep dark brown color. Don’t be afraid to turn up the heat. If necessary, work in batches so that the pot isn’t overcrowded. This recipe uses half a bottle of red wine. I don’t often use wine with recipes, but this is an exception. The red wine brings a delicious flavor to the meat. The wine is added to the pot and then simmered until it is reduced by about half. Then the tomatoes are stirred in, and everything can go into the oven. Check the dish after about 3 hours to see if it is ready – the sooner that you remove it from the oven, the saucier the ragu will be. The longer that you let the ragu cook, the more tender the meat becomes. When it’s ready, shred the meat in the pot with two forks before serving. 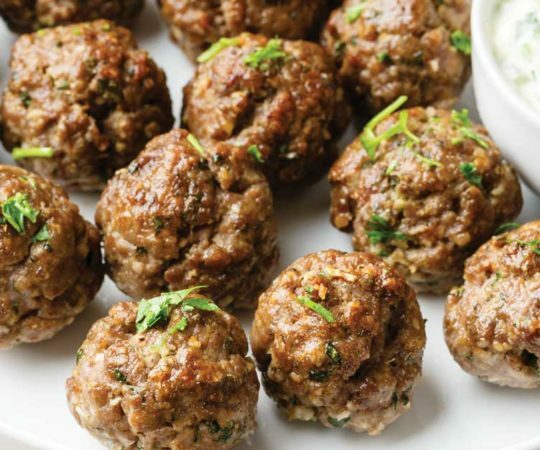 The meaty ragu is a great freezer meal, so it’s easy to double the recipe and freeze half for later. 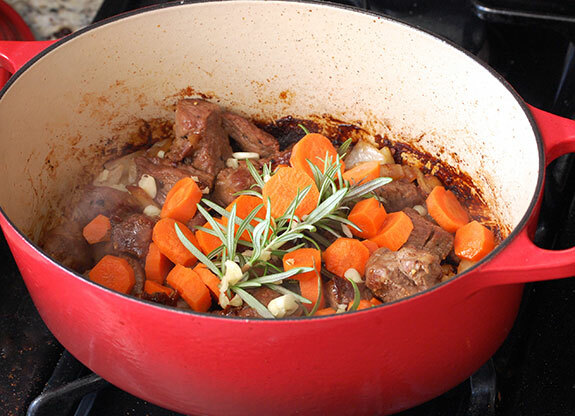 If you do not have a Dutch oven, the recipe might also work well in a slow cooker, though you should still brown the meat first. 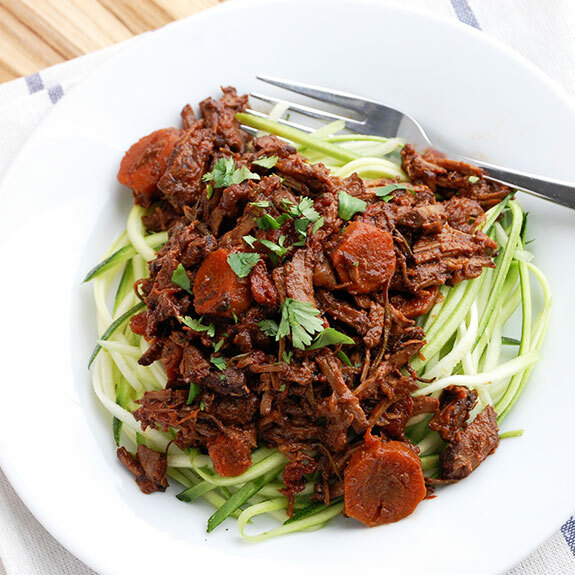 You can serve the hearty, rich ragu over spaghetti squash, cauliflower rice, or my personal favorite, zucchini pasta. Pat the lamb dry and generously season with salt and pepper. Heat the olive oil in a Dutch oven over medium-high heat. Add the lamb to the pot and brown. Once the meat is dark brown, lower the heat to medium and add the onion. Cook for 5-7 minutes until the onions are soft. Stir in the garlic, carrots, celery, rosemary, and bay leaf and cook for an additional 5 minutes. Preheat the oven to 300 degrees F. Add the red wine to the pot. Simmer for 10 minutes or until the liquid has reduced by half. Add the tomatoes to the pot and crush slightly. Bring the mixture to a simmer, then cover. Place the pot in the oven for 3-4 hours. 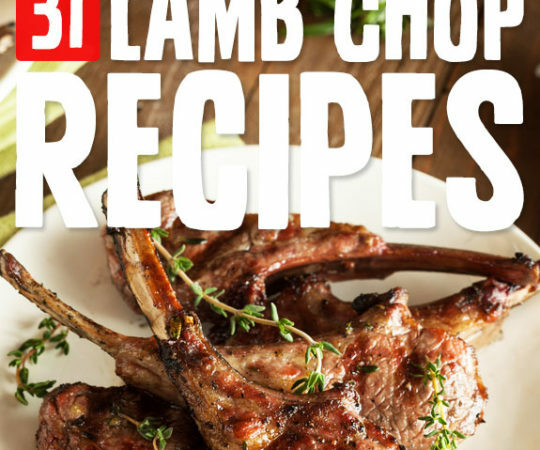 Shred the lamb with a fork before serving. Season with salt and pepper to taste. That looks delicious! I love warm hearty meals like this. 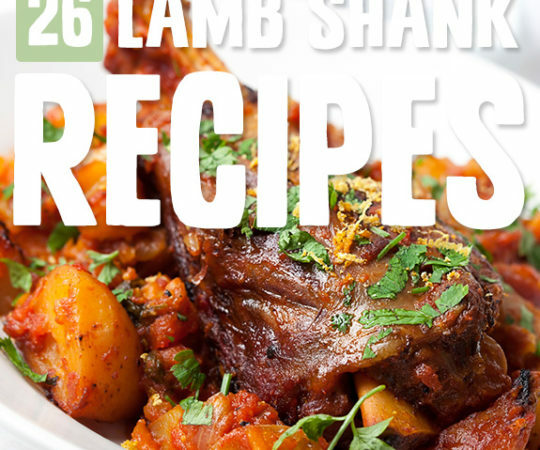 I’ve made a very similar one with mutton before, will have to try this version :). I made this dish yesterday and it is perfect for a cold winter day. The fragrance from the stew cooking in the oven is wonderful. I used stewing beef only because I could not find lamb for stew. It worked very well and I didn’t change any other ingredients. The only suggestion I would offer is to brown the meat in small batches. If you crowd the meat it will steam and not brown. I removed all the meat after browning and added it back after the vegetables were done. Would highly recommend the recipe. It is really delicious. I made a Persian crusty rice with dill and Lima beans to accompany. my wife said this was the best thing I’ve ever cooked in 10 years of marriage. Add some chilli flakes for a bit of zing.